Stadler has faced criticism for his handling of Audi's part in VW's emissions cheating scandal. 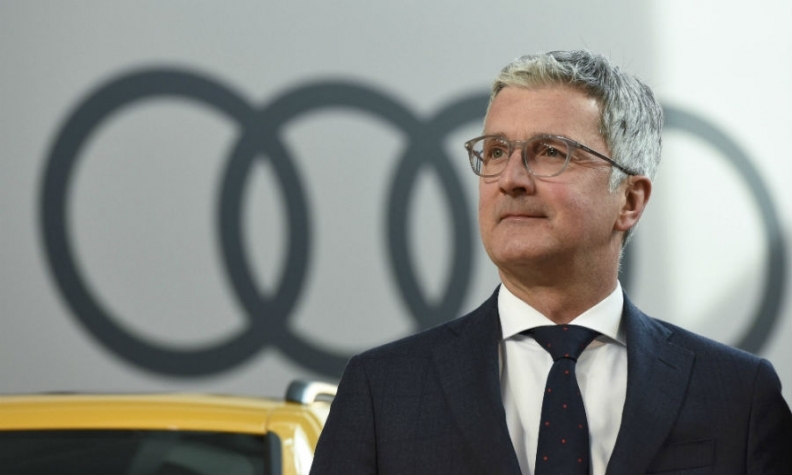 FRANKFURT -- Audi works council chief Peter Mosch has brushed off the suggestion that CEO Rupert Stadler could leave amid ongoing investigations into Audi's role in parent Volkswagen Group's diesel-emissions scandal. "Stadler has a contract. Period," WirtschaftsWoche magazine quoted Mosch as saying in an interview, when asked whether Stadler was still the right man at the helm after 10 years in office. Mosch is one of four members on Audi's supervisory board's steering committee so he has an important voice on Audi top management appointments. Stadler, who has run Audi since 2007, has faced criticism for his handling of Audi's part in the emissions-cheating scandal. Audi's supervisory board in May unanimously voted to extend his contract by five years to the end of 2022. Stadler said at the time that Audi would continue its work to address the scandal "until the job is done," promising to make law and ethics its "ultimate benchmark." Audi admitted in November 2015 that its 3.0-liter V-6 diesel engines were fitted with an auxiliary control device deemed illegal in the United States that allowed vehicles to evade U.S. emissions limits. The issue has come back into focus this week as German prosecutors said on Tuesday they had searched Audi's headquarters and one of its plants, widening their inquiry into the manipulation of diesel-emissions tests. Mosch said it was up to all of Audi's executives to press on with and eventually complete their investigation in connection with the diesel-emissions scandal. "That is really important for our customers and our staff. But especially because we finally have to start stepping up our game with our competitors," he told WirtschaftsWoche. Audi posted a 0.6 percent rise in vehicle sales to a record 1.88 million cars last year, keeping the No. 3 spot in global luxury sales behind Mercedes-Benz and BMW.